Looking for some top live music tips in London this week? Want to catch a gig but not sure what’s happening, or just need some suggestions? Jen Long, Music Editor at DICE, gives us her top tips which you can pass off as your own ideas and impress your friends. His beard might be up for sale on eBay, but that’s not stopping the pioneer that is Andrew Weatherall. On Monday 16 March he headlines Village Underground for the Boom Room launch night alongside the “metaphysical” Eats Lights Become Lights as part of the eclectic Convergence line up. On debut album Like I Used To, Lucy Rose’s vocal is heart melting with tales of love and loss told in her perfectly unique style and performed over a range of haunting strings that just as quickly switch to accelerating percussion. Now playing these two special shows at Dingwalls on Wednesday 18 and Thursday 19 March, join the Waiting List on DICE for a chance to hear new material from her forthcoming second record. 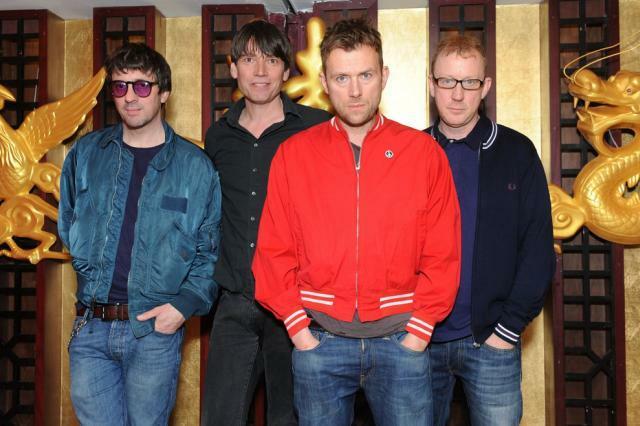 Blur are back. And ahead of their huge Hyde Park show this summer and the release of their eighth album The Magic Whip, they’re playing an intimate gig at a secret west London location this Friday 20 March for just 200 lucky fans. Enter the competition for a chance to be there. French/Finnish duo The Dø have remained strong on the scene since their formation in 2007, with third album Shake Shook Shaken accumulating great praise in Europe. Catch them at Koko on Thursday 19 March to find out just what makes their elating pop so addictive. While on Saturday 21 March Pantha Du Prince brings his melodic techno and gritty basslines to Troxy. Picking up adoration from Pitchfork to FACT, if you’re not already a fan then you’re missing out. Two very different acts for you here. On Thursday 19 March Californian brothers The Garden bring their neo-punk, rap, garage, grunge to the 100 Club. While on Tuesday 17 March ALA.NI plays Manero’s in Dalston. She has the captivating sound of Billie Holiday. Listening to ALA.NI it doesn’t feel like 2015 — her music is escapism perfected. One Friday night in London, two very different, massive acts to pick from. At Wembley Arena Maryland’s All Time Low bring their bombastic pop-punk choruses and huge sing-along riffs straight to your face. While on the Southbank, electronic pioneer Gary Numan is joined by Toronto’s Digits at the Royal Festival Hall for a show that’s guaranteed to be mind blowing as part of the excellent and diverse Convergence line up. Montreal based producer Kaytranada has been on a monumental rise over this past year thanks to a relentless string of innovative remixes for everyone from Azealia Banks to Pharrell. The Canadian is bringing along a host of special guests for this big show at O2 Academy Brixton on Friday 20 March — don’t miss it. While on Saturday 21 March at XOYO it’s the penultimate night of Skream’s reign and he’s joined by house icon Roy Davis Jnr, credited by many for kick-starting the UK Garage sound in 1996. This article was created in partnership with mobile ticketing app DICE, which supplies tickets without booking fees. Which makes sense to us, because it seems unfair to charge booking fees for an electronic ticket. You’re free to buy your tickets from wherever you like, of course.